Bill Frakes was a sheep rancher who grew up in Argentina. He came back to the U.S. and settled on a patch of Mojave River land near what was once Camp Cady. It was rough country for raising sheep and made much rougher by coyotes coming in and taking what they would in the dark of night. At the time bighorn sheep were plentiful in the area and Bill noticed they wouldn't put up with coyotes. They would attack the predators as soon as look at them. The coyotes were wary and left the horned beasts alone. Frakes thought if he could cross the bighorn with his domestic sheep the resulting hybrid would be able to produce wool, remain tasty, and protect itself from becoming a meal prematurely. 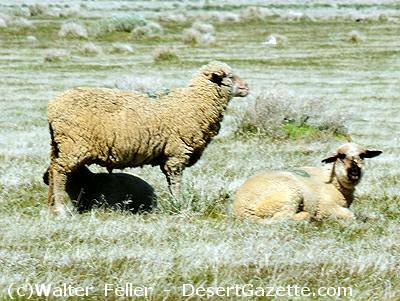 A 'coyote killing' sheep would revolutionize the industry! So Bill set to work with his plan. 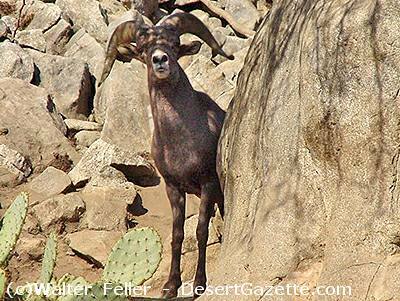 Bill had captured a bighorn ram and a couple ewes. He forced his experiments by mixing and matching the two species. As time went on, rumors indicated the result was not good news. There were reports of some very sad and odd looking creatures tied to fence posts near his house. With hindsight we can surmise this foray into genetic modification didn't quite workout. No evidence of the strange beasts has ever been found. But that's not to say they didn't exist. Maybe they just escaped into the mountains and are really good at hiding? Doesn't seem likely though, does it?